GOOD IMPACT MEASUREMENT STARTS WITH A CLEAR MISSION. PUT EVEN MORE simply: What problem was your organization founded to solve, and how do you solve it? That’s the standard you hold yourself up against at the end of every year and measure how much progress you’ve made. JASON: At INVESTIGATEWEST, our mission is to build a powerful citizenry in the Pacific Northwest. We do that through consequential storytelling. LAUREN: At the WISCONSIN CENTER FOR INVESTIGATIVE JOURNALISM (WCIJ), we foster an informed citizenry and strengthen democracy. 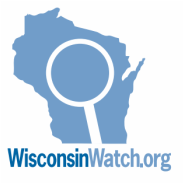 We do that by increasing the quality and quantity of investigative reporting in Wisconsin, while training current and future generations of investigative journalists. You probably have an official mission statement, and unless you’ve reviewed it lately, it’s probably long with a bunch of fancy words in it. Take our advice and use the plainest language you can. 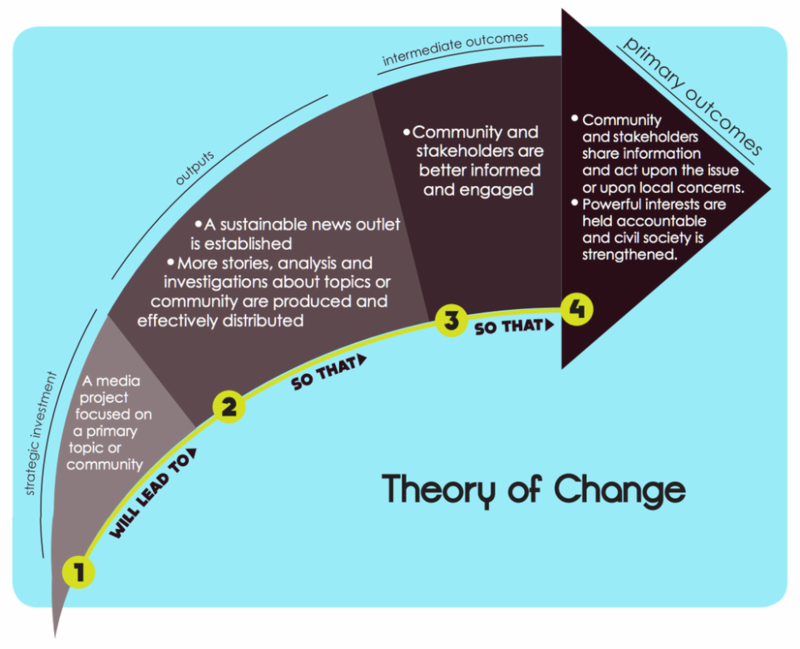 Along with a mission, you also need what people in the nonprofit and foundation world call a “THEORY OF CHANGE.” Your theory of change is the arrows you draw between your organization’s activities, the outcomes of those activities, and—ultimately—the impact. Sometimes the arrow is short and direct. You publish a story that is read by a legislator who passes a new law. That’s an easy story to tell, but it’s sure hard to promise to a funder, so it’s not a great answer to that all-important impact question. In the rest of this guide we’ll show you patterns for each step of your theory of change that you can use with foundations to make the case that you—yes, you!— are a brilliant investment.